Sometimes I think you have to be a special kind of lucky to experience all the things that I get the chance to experience and it really makes my head shake in disbelief. That said, it is of course also not all just luck, but would be impossible if it wasn’t for all the supportive people that are helping along the way and so the feeling of luck is paired with much gratitude. This time round, my trip to Melbourne gave me much occasion for such headshaking and gratitude, as I have spent an extremely impression intensive 1.5 weeks there. Following my time at the SSBD Seminar with Maul Mornie, I spent two days listening, talking and sharing two conference days with an amazing group of critical autoethnographers that has been truly inspiring and hopefully the final kick to finish my PhD, so that is not what I will be writing about here. 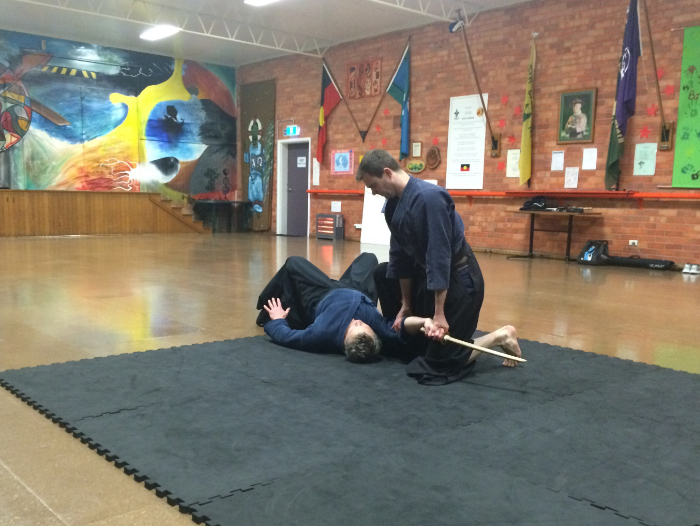 At his Melbourne school, Liam teaches two Koryu styles – Tatsumi Ryu and Toda ha Buko Ryu, holding teaching licenses in both (and in fact being one of a very small and select number of Shihan in the latter), as well as Chen Tai Chi. Outside of that, he also has an extensive background in Goju Ryu Karate and many other arts and is a Board Member of the International Hoplology Society that was founded by no other than Donn F. Draeger. 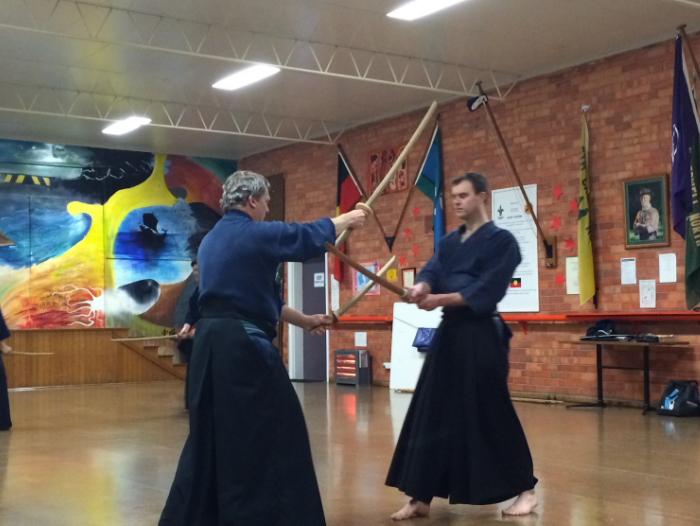 He has lived and trained in Japan for 23 years and travelled the world researching the martial arts both with and without Draeger, before moving to Australia 14 years ago, where he now lives and teaches. 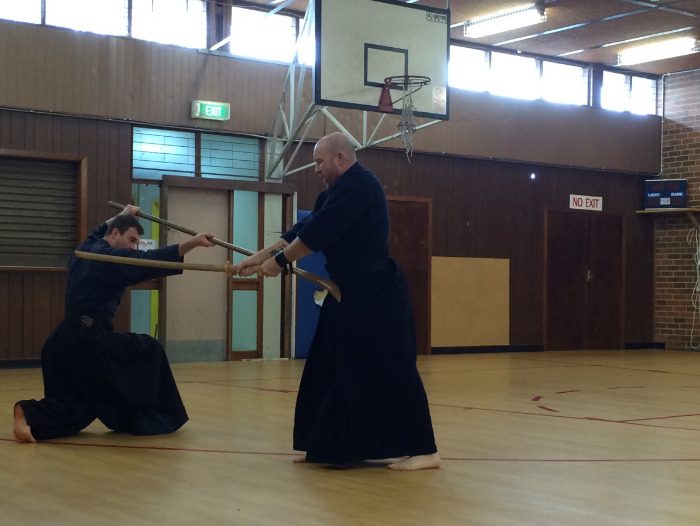 …In between the seminar and the conference, as well as after, I was fortunate enough to meet, observe and participate in a range of classes taught by Liam Keeley Sensei at the Koryu Kenkyukai Melbourne Australia. Liam Keeley is an extremely accomplished, skilled and knowledgeable martial artist and teacher, and rather than reiterating his extensive bio here, I will provide a few links and leave it up to you to click your way through the web, search and enjoy the searching and reading if you are so inclined.Given that there is a fair bit available out there (references below) on the martial arts that he teaches, both by him and many others that are more qualified to write about them then I am, I will revert to writing about my impressions of our meeting. Anyway, I often find that some of the richest elements of such meetings happen in between classes, in the subtext, or in other such little instances that otherwise go unnoticed. Given that there is a fair bit available out there (references below) on the martial arts that he teaches, both by him and many others that are more qualified to write about them then I am, I will revert to writing about my impressions of our meeting. Anyway, I often find that some of the richest elements of such meetings happen in between classes, in the subtext, or in other such little instances that otherwise go unnoticed. Monday evening I attended the Chen Tai Chi class and was generously invited to participate right away, thus adding more ‘firsts’ to the list that has been building since the beginning. 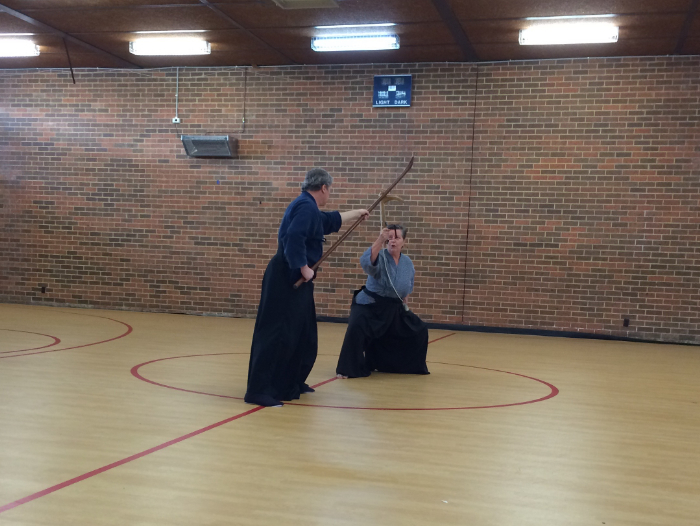 The first thing I noticed there, was that the moment Liam Sensei started moving any common prejudice one might have about age just disappeared and the benefits of a lifelong practice became visible right away. On the one hand, I am talking about some very low and lunging positions (which I would have to give another shot myself with something more flexible than Jeans..) in and out of which Liam moved with great and ‘no’ transition so to speak, as well as kicks and other such outward movements. But what I found even more impressive were the small and constant spine movements that seemed to drive his every movement. That alone would have been enough to make me happy and observe for a few hours (days, …). 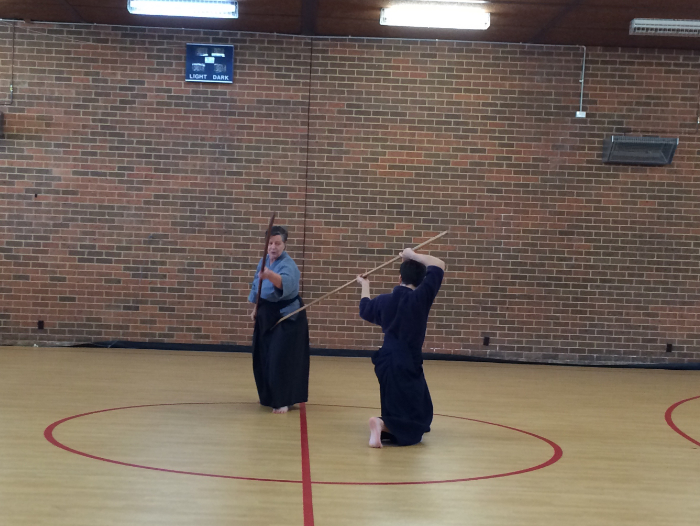 As if that was not enough, when I came to observe the Toda ha Buko Ryu and another Tatsumi Ryu class on Saturday, Liam continued sharing as generously as he had from the first moment. I should say here that he was very open in showing me many different aspects of each art and asking his students to specifically show me various elements, that otherwise might not have been trained on that particular day (if I understood correctly). 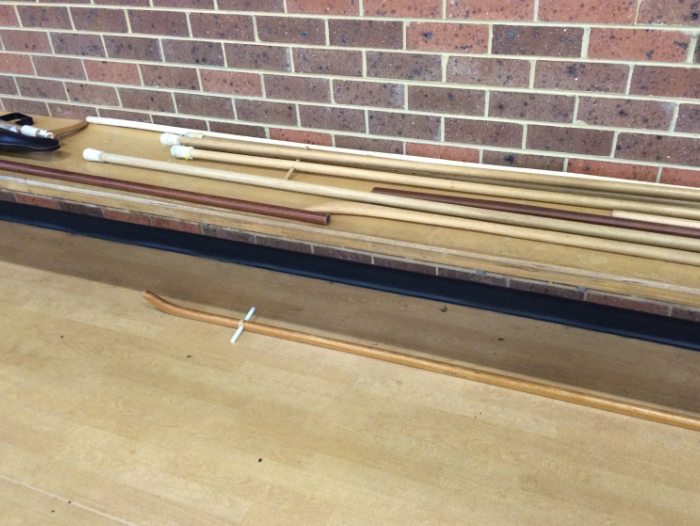 Breaking with some customary Koryu protocol, on Saturday I was then given the chance to join into some of the practice during both classes and so had my first ever session with a naginata (glaive), a yari (Japanese style spear), and nodachi/odachi (long sword), as well as some Tatsumi Ryu Yawara (JiuJutsu), all of which are at the same time only tiny parts of the overall extensive curricula of each art.Next to all this being a fantastic opportunity in itself, here it was evident how both the humility and generosity was equally present in his students who took time to introduce me to these various elements, kata, etc., explain and practice them with me. 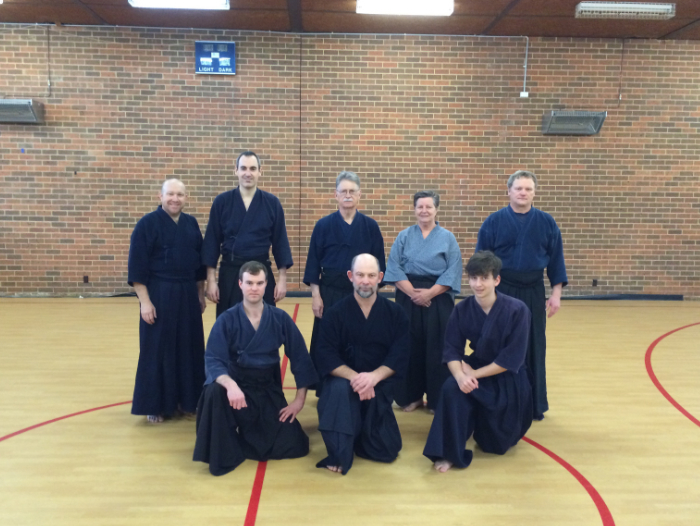 The group(s) and all students were welcoming and very friendly, and especially those who have trained in any art with Liam Sensei were highly skilled in what they were doing. Next to all this being a fantastic opportunity in itself, here it was evident how both the humility and generosity was equally present in his students who took time to introduce me to these various elements, kata, etc., explain and practice them with me. 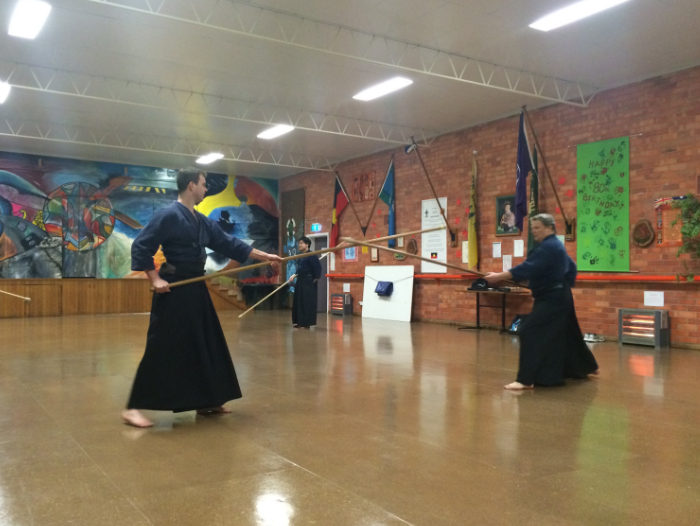 The group(s) and all students were welcoming and very friendly, and especially those who have trained in any art with Liam Sensei were highly skilled in what they were doing. 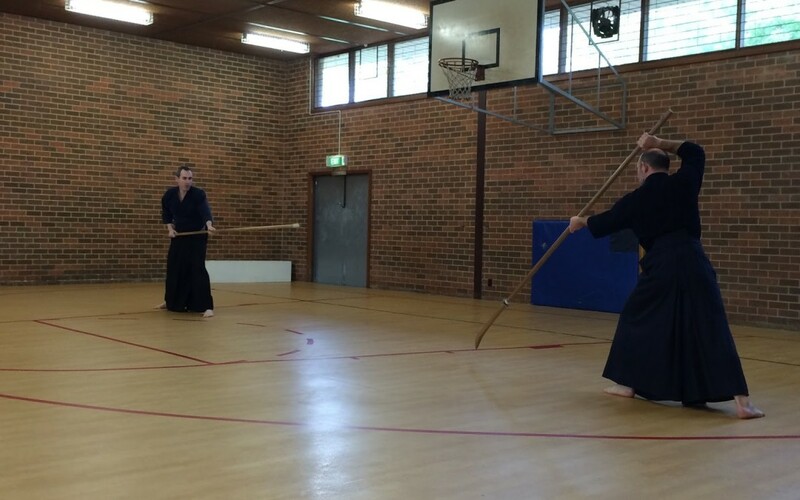 To say a little bit about the two Koryu arts themselves and generalise a little (since I wasn’t going to write on the technical elements so much), one of the most outstanding elements visible and palpable during training is that this is not just any kind of training. Rather, it is well and truly the practice of living martial traditions, which ‘old’ and ‘traditional’ as they may be, have lost nothing of their gravity and effectiveness. There is, in all the movement, a constant pressure on each other that leaves no extra space, no give, not even the slightest millimeter, whether this is with a weapon or without (the latter coming with that some ‘octopus’-like wrapping feeling that you can perceive when a good BJJ practitioners starts wrapping himself around you without ever leaving any empty spaces). Finally, on another two moments in passing our conversation somehow came to the topic of organisations and I was delighted when Liam agreed with my impression that it is much more important, and maybe preferable to simply be friends. As friends, we can connect freely, share and enjoy the beauty of each others company and arts. I for one am certainly glad I have had this opportunity on so many occasions on this trip, including the time with Liam Sensei and his students and hope we will stay in touch and meet again in the future.To me, this is a particularly beautiful element because it brings kata training to life, that is, it brings that feeling and pressure of combat into every movement and moment of practice. The quality that this brings to training is what distinctly undoes any misunderstanding of the term Koryu (‘old flow’) as something old, but highlights its aliveness in the present. Simpler, it makes Koryu alive, today. On Koryu.com there is a brief description of Tatsumi Ryu and Buko Ryu, including lots of links to great material. Ellis Amdur’s books are an obvious must-read for those interested in the martial arts in general, as well as Koryu and Aikido more specifically.